Today celebrates 7 years since I opened CD Fitness in Bagshot. First of all a massive thank you goes out to all my clients over the years, without them my business definitely wouldn’t have progressed as well as it has and I hope we have been able to help every single person who walks into our studio. When I opened the studio I was working hard, and studying every minute I could because I wanted to be successful as a personal trainer and as a business. However I had only been a personal trainer for just under 2 years and I didn’t have any experience in running a business. Fast forward to 2019 and we have an amazing group of clients that we work with every week, an amazing team of trainers and we have some massive plans in the pipeline. 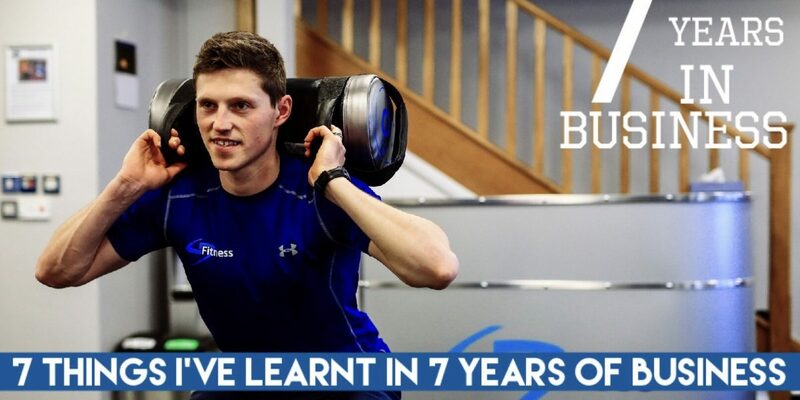 To celebrate 7 years in business here are 7 things I have learnt from my experience of running a business and working with a number of different people from all walks of life. 1. Health is wealth. This is hands down the most important reason to train. 2. Sleep is so important. A minimum of 7 hours a night is a must. You can’t operate at 100% on any less. 3. Don’t let the environment control your mood. We can’t change the weather or the dark days so why let it affect you. Fight back and do what you want to do/need to do no matter the weather and you will feel in control. 4. Rome wasn’t built in a day. My most successful clients have achieved their goals by changing the way they train/eat/drink gradually rather than overnight. This also applied to near enough any goal in life. 5. Age is just a number. I have met people who are in their 50s who run marathons, go skiing, play sport with their kids etc and I have met people who are in their 50s who are barely able to care for themselves due to inactivity, bad diet and bad lifestyle. 6. A diet should be treated like a tailored suit. One size doesn’t fit all. What works for one person is very unlikely to work for another. Everyone’s diet is different and personal to them. 7. Mental strength is just as important as physical strength. We spend a lot of time training our bodies from the neck downwards and rarely spend any time working on mental strength. 2019 is a massive year for us and we can’t wait for you continue your journey with us as we strive to become the best personal training studio in the U.K.